A tremendous amount of radioactive products were discharged as a result of the accident at the Fukushima nuclear power plant in March 2011, which resulted in radioactive contamination of the plant and wide surrounding areas. When describing the geographical distribution of radioactive contamination just after the disaster, the government, media, and other organizations largely used administrative boundaries (prefectures, municipalities etc.) or distance from the radiation source as a reference. I examine how this sometimes misleading information about risks, as opposed to the actual risks of radiation significantly and negatively affected local tourism and its long-term recovery in Fukushima and Kanto area. Although health risk information based on prefecture has an obvious advantage of distilling large and complex risk information into a simple one, the government, media, and other organizations need to recognize and carefully examine the potential of misclassifying non-contaminated areas into contaminated prefectures. Doing so will avoid unintentional consequences to the region's tourism recovery. 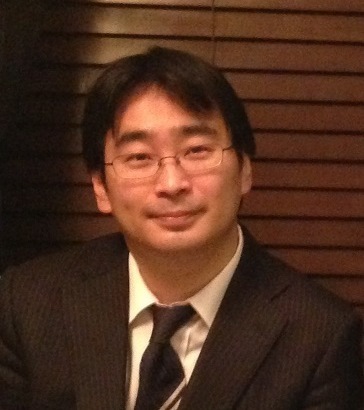 Hiroaki Matsuura is currently Provost and Vice President of Shoin University in Japan. He is also Interim Dean of the Faculty of Tourism, Media, and Cultural Studies at Shoin University. Before he moved to Shoin, he served as Departmental Lecturer in the Economy of Japan at the School of Interdisciplinary Area Studies and the Nissan Institute of Japanese Studies at the University of Oxford in the United Kingdom. Hiroaki received his B.A. in Economics from Keio University, M.A. in Social Science from the University of Chicago, M.S. in Project Management from Northwestern University's McCormick School of Engineering and Applied Science, and Sc.D. in Global Health and Population (Economics track) from Harvard University's School of Public Health. He has also served as a consultant for the United Nations Development Programme (UNDP), the United Nations Population Fund (UNFPA), and the United Nations University World Institute for Development Economics (UNU-WIDER). He is currently an editorial board member of the Child Abuse Review, Sociological Research Online, and International Journal of Population Studies. His main interests are economics and demography, with a special interest in human rights in population issues.